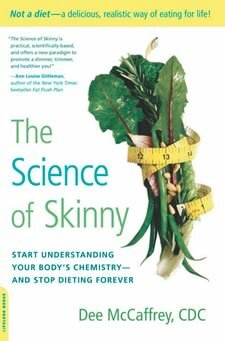 The Science of Skinny is written by organic chemist and nutrition educator, Dee McCaffrey, to help dieters understand body chemistry in relation to the food we eat. The author shares her expertise and explains how chemicals and toxins in food can influence our ability to lose weight. When she eliminated processed foods from her diet she lost 100 pounds and maintained the weight loss for twenty years. When she was studying organic chemistry McCaffrey was shocked to discover the presence of dangerous chemicals in many of the foods she enjoyed. She started to wonder if there was a connection between the chemicals in processed foods and her struggles with obesity. 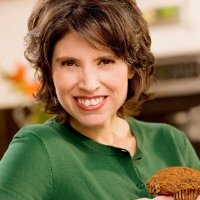 Once she eliminated these foods she was able to lose 100 pounds within one year. She outlines a weight loss program that emphasizes the importance of eating foods in their natural state. There is no need to adhere to strict diets because you can lose weight simply by eating real, wholesome food. Introduces readers to the negative health effects of processed foods. The author explains what foods you should avoid. Teaches how the right combination of nutrients can boost your metabolism. Includes the practical aspects of the diet. Includes meal plans, recipes and lifestyle tips. You will be provided with guidelines on exactly what to eat each day. The program starts with a two-week cleanse designed to help you adjust to a diet free of processed foods.. In this phase you will begin increasing intake of alkalizing and liver-cleansing foods and drinking more water. You may experience some withdrawal symptoms as your body starts to eliminate toxins. This shouldn’t last more than a couple of weeks as your body adjusts to your new way of eating. After the first two weeks you then transition to the “Skinny for Life” phase. This is a way of eating for the rest of your life that will keep your body chemistry balanced and support your liver health. This phase allows more whole grains, starchy vegetables, legumes and dairy products than Skinny Beginnings. You can also have a few treats like granola, organic popcorn, and chocolate. Berries, apples, oranges, spinach, lettuce, tomato, broccoli, sweet potato, lentils, black beans, hummus, brown rice, quinoa, almonds, walnuts, avocado, tempeh, organic yogurt, organic eggs, salmon, turkey, beef, chicken, coconut oil, organic butter, raw honey, green tea. The following is an example of a meal plan for the initial two-week cleansing phase. McCaffrey emphasizes that the most important aspect of getting healthy is choosing nutritious foods. However, to effectively be in good shape we have to balance this with moderate physical activity. Ideally you should exercise for at least 30 minutes, six days a week. Brisk walking and jumping on a rebounder are especially recommended because this cleanses the lymphatic system and encourages elimination of toxins. The Science of Skinny: Start Understanding Your Body’s Chemistry–and Stop Dieting Forever retails at $16.99. Food costs will likely increase with the elimination of cheap, processed foods. Click here to purchase Dee McCaffrey’s book at a discounted price. Encourages consumption of organic, unprocessed foods. Offers guidelines for family and kid-friendly meals. Provides four weeks of meal plans with vegetarian options. Appeals to dieters who like to understand the science of weight loss. Dieters may have to give up some of their favorite foods. Requires elimination of alcohol for the first two weeks. Some will experience withdrawal symptoms when commencing the diet. The Science of Skinny focuses on eliminating processed foods and chemicals from the diet to improve health and for losing weight. This book will appeal to dieters who want to understand the science of weight loss. It offers a healthy way of eating, emphasizing natural foods, that you can follow for the rest of your life.